Hawaiians forced to flee repeated eruptions of the island's Kilauea volcano made a quick dash home to rescue pets and collect essentials on Sunday. Nearly 2,000 people who had been evacuated were given a 10-hour window to prepare for the possibility they may not return for quite some time. 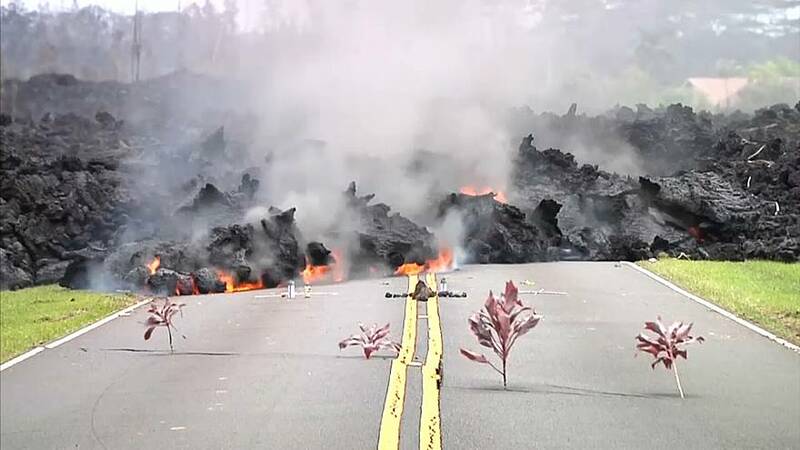 More lava fissures and vents have opened up but no new explosions have been reported. So far no deaths or major injuries have been reported but at least 26 homes have been destroyed. Geologists, have warned of numerous aftershocks.